Guadalupe is located in Santa Barbara County, on the Central California coast near the famous Guadalupe-Nipomo Dunes. As of the census of 2010, there were 7,080 people residing in the city. The city was established in 1840 and incorporated on August 3, 1946. California’s Pacific Coast Highway, California Highway 1, runs right through the downtown of Guadalupe. Guadalupe is an attractive home for families, providing safe and affordable neighborhoods, excellent restaurants, good schools, and a friendly environment. The City of Guadalupe was privileged to be featured in the popular TV series “California Gold”, starring Huell Howser. 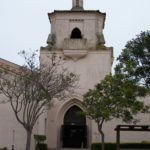 Chapman University has established an online archive of all the episodes in the series, including the one featuring the City. You can view the episode here. 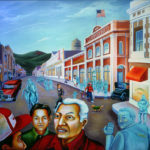 The City of Guadalupe is home to the Juda Baca Guadalupe Murals Project. 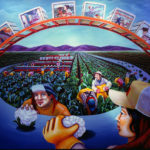 Developed around 1990, with funding support from the Santa Barbara County Arts Commission, the Guadalupe Murals Project was intended to remind citizens of the rich history of the city of Guadalupe. The murals were originally installed at City Hall but were removed to prevent increasing exposure to the elements. 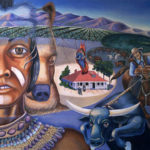 Now the murals are again on public display at City Hall. 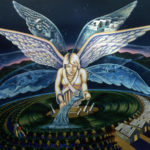 For more information on these beautiful murals, and to view the murals, please click here. I wanted to ask you to take a few minutes to complete a survey being conducted by a national, not for profit, People for Bikes Even if you don’t ride a bike, your responses will help SBBIKE and the County of SB learn more about the strengths of and barriers to bicycling in the cities of Santa Barbara County. In addition to contributing to making bicycling safe, another incentive for participating are prizes of thousands of dollars in bicycle equipment which will be awarded to a number of randomly selected respondents. All responses are confidential and People for Bikes will not share your name or other identifiers. You must be over 18 to be counted, but if you want to do it with kids, it’s a good opportunity for them to think about surveys, bicycle friendliness, and safety, so if you want, have them fill out the survey with you! Click on the Bill pay banner to access the online bill pay service for the City of Guadalupe. There is an online bill pay website that appears to be affiliated with the City of Guadalupe, but that is not the case. There is a third party website, doxo.com that allows people to pay their water/sewer bill via the doxo.com website. However, doxo.com may charge the member extra fees, and the City of Guadalupe cannot control when we will receive the member payments, possibly resulting in a late payment from the resident or even a disconnection due to non-payment. To make sure you are paying the City of Guadalupe directly, visit our website at ci.guadalupe.ca.us and click on the “Utility Bill Pay” portal. The City of Guadalupe is not responsible for any late payment penalties or disconnections if payment is made using doxo.com and payments are received by the City of Guadalupe after the due date. As always, if you receive suspicious phone calls or emails from someone claiming to be a representative of the City of Guadalupe requesting payment, please contact our office as soon as possible. Get information on Community events, road work, and more. The city of Guadalupe is proud to make available this new service to all City residents. Just click on the local news banner to sign up for the Non-Emergency local alerts. Click on the Aware & Prepare banner to sign up for emergency notification. This service is provided through the Santa Barbara County Sheriff’s Office.